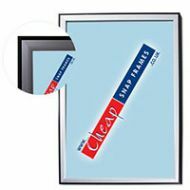 Our Silver Snap Frames include silver snap frames with round corners and silver snap frames with square corners. 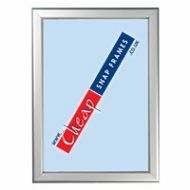 Our silver poster frames are available in a range of frame widths, 15mmm, 25mm, 30mm, 32mm or 44mm and come in sizes of A5, A4, A3, A2, A1, A0 and larger. 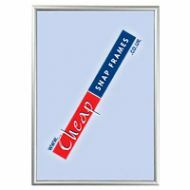 Wall mounted with fixings supplied, ideal for busy environments. 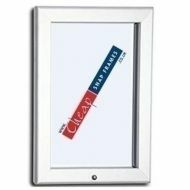 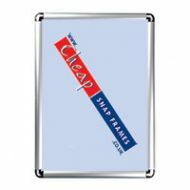 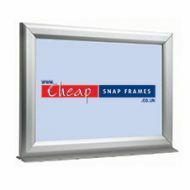 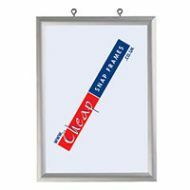 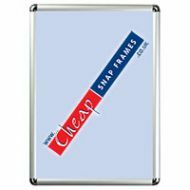 All our silver snap frames are at very cheap prices with quick delivery. Bespoke Frames: we can also make bespoke frames to your exact size specifications. Please do call 0845 465 1027 for a quick quotation.